Outstanding ride, road holding and handling. A pleasure to drive. 1.2 petrol or 1.8 hybrid. Solid build quality. Rear headroom is tight for adults. Rear seats don't fold flat. Hybrid isn't as fun to drive as the 1.2 manual. No diesel engines. After years of playing it safe with dull but worthy cars, the C-HR is a welcome return to more interesting car design for Toyota. 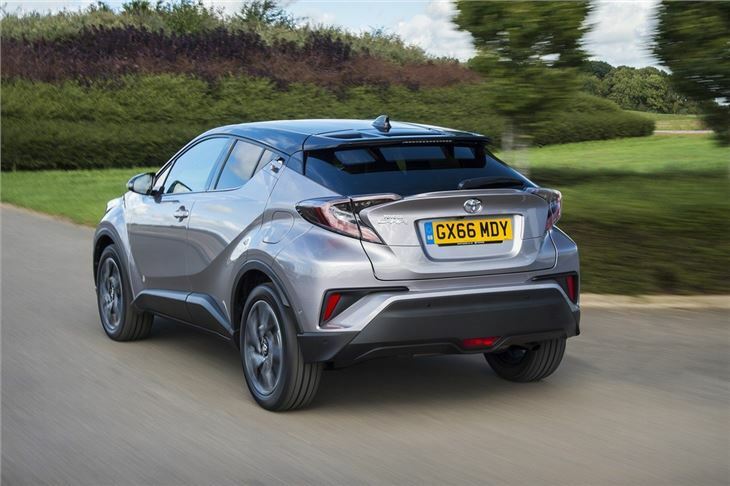 But angular, coupe-crossover styling isn’t all the C-HR has going for it – it’s economical, practical and good to drive. The only problem is its steep price. There is no diesel engine choice, just a 1.2-litre turbo petrol or a 1.8-litre hybrid. The hybrid is obviously the one to go for if you drive in town and value economy, but both are quiet and refined. Most buyers will be happier with the 1.2-litre though, since it has a slick manual transmission and perky, if not blistering performance. 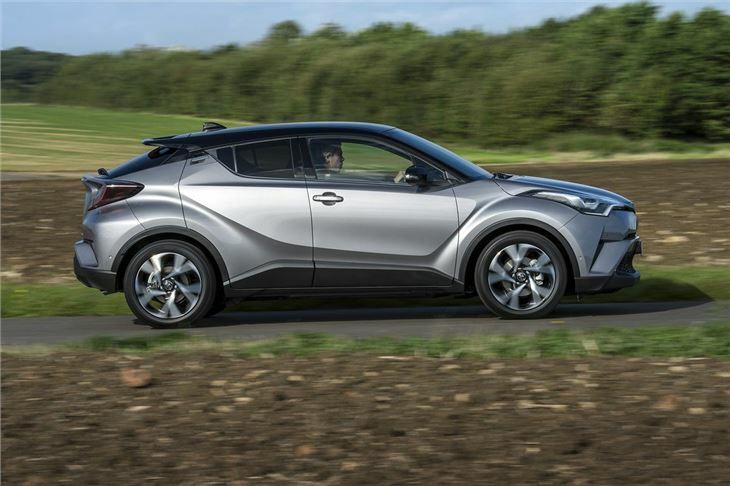 Because of that, it’s better on country roads, where the C-HR’s handling really shines. The suspension does a great job of blending accurate and grippy handling with smooth, quiet ride quality. For potholed roads and speed bumps it’s very impressive. And ideal for typical British tarmac. 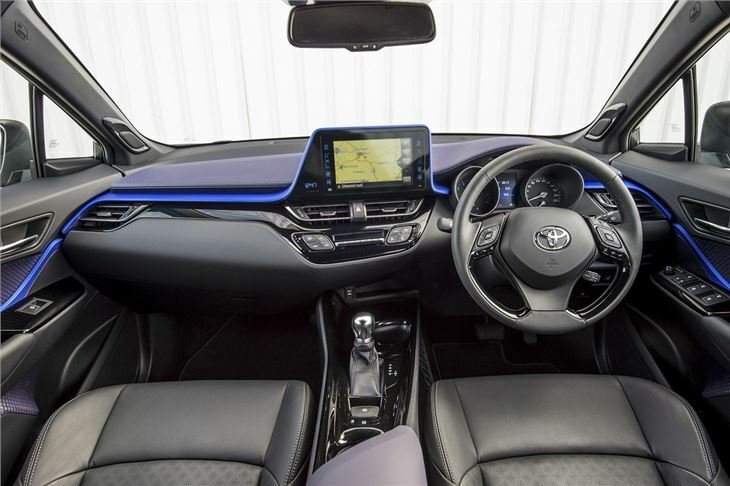 Inside, there’s a stylishly laid out and well-built cabin with plenty of neat touches like a coloured dashboard inlays and door cards. It’s comfortable up front, with plenty of adjustment in the driving position. The back row is fine for most but legroom can get a little tight with tall occupants up front. 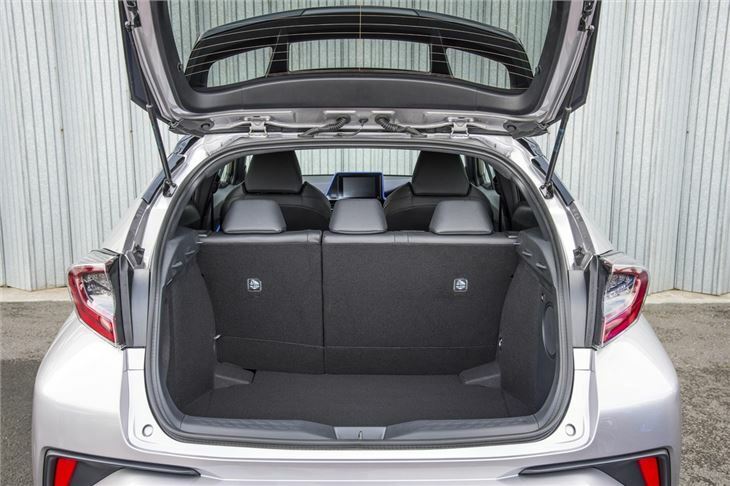 The boot is well-shaped and provides plenty of space at 377 litres, so there won’t often be cause to fold the rear seats down. But for those bulky loads they do fold, although unfortunately not flat, which will make getting some things in and out awkward. 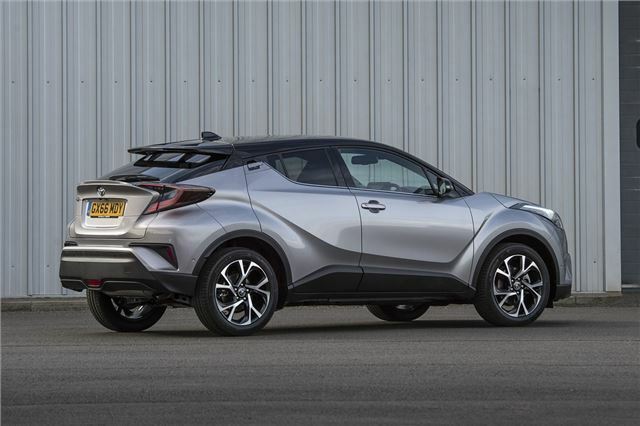 All versions of the C-HR come well-equipped, with a touchscreen system, Bluetooth, dual-zone climate control, adaptive cruise control, auto high beam and lane departure alert. The essentials are all standard, but higher trims gain leather upholstery, navigation, automated parking and other luxuries. 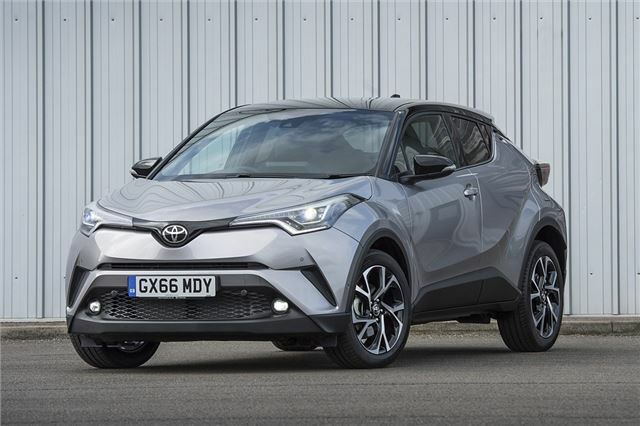 There’s not much wrong with the Toyota C-HR. The bold styling might not be everyone’s cup of tea and the lack of a diesel engine will reduce the appeal for high mileage drivers. But the generous standard equipment, strong build quality and excellent road manners make up for any shortcomings. 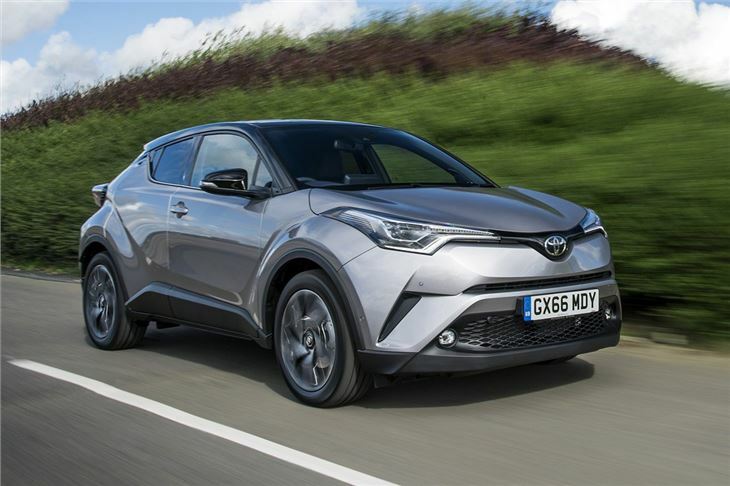 List prices are high compared to the competition - but being a Toyota you can expect this to be incredibly reliable.